While the upcoming horror-comedy Slaughterhouse Rulez isn't necessarily about Simon Pegg and Nick Frost's characters, the new trailer doesn't want you to know that. It's focused heavily on the fan-favorite duo from the Cornetto Trilogy of films: Shaun of the Dead, Hot Fuzz, and The World's End. They haven't actually teamed up on a feature in years, so seeing them together again is obviously going to be a huge draw. 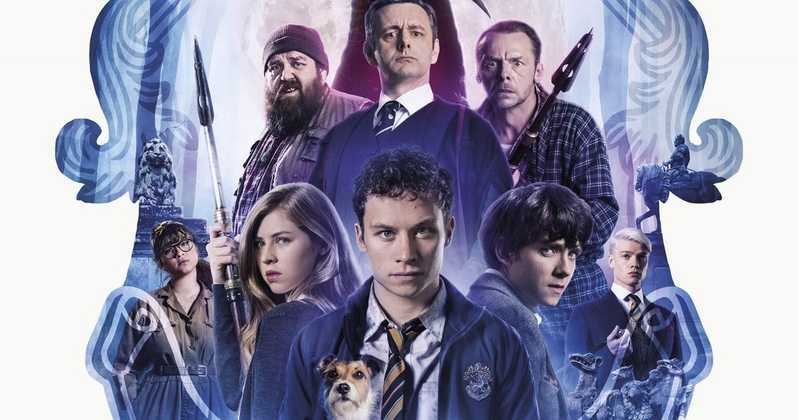 The film is directed by Crispian Mills, who worked with Pegg on A Fantastic Fear of Everything, and co-stars Asa Butterfield, Michael Sheen, Jamie Blackley, Finn Cole, and Hermione Corfield. When a sinkhole appears at a prestigious British boarding school the students and teachers must fight to survive the monsters that emerge from it. Slaughterhouse Rulez hits the UK on October 31st, which seems like an appropriate date. Hopefully we can get it around the same time.